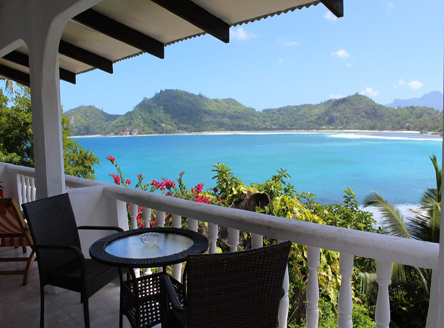 As well as luxury Seychelles hotels, Just Seychelles features many Seychelles small hotels, guest houses and self-catering properties throughout the Seychelles islands - offering great value for money. Many are marketed under the Seychelles Tourist Board's 'Seychelles Secrets' brand; this means that as well as having a real local Creole feel, they must adhere to certain minimum standards and are checked by the tourist authority. Seychelles small hotels are essentially boutique hotels in Seychelles scattered around the main islands of Mahé, Praslin and La Digue and set in some of the most idyllic spots - either on stunning coastlines or lush hillsides. They offer a relaxed home from home holiday, where good food, personal service and pleasant company are more important that fancy facilities. 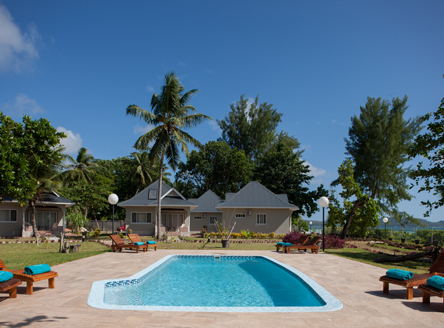 Some of our small hotels are great for a family holiday in Seychelles. Although not having Kid's clubs, many are located in attractive gardens beside gorgeous white sand beaches. Add to that giant tortoises and turtles, and Seychelles provides a unique experience for children. Our Seychelles Small Hotels start from just £1095 per person for 7 nights at Lazare Picault on Mahé island, including flights and transfers. Alternatively, why not consider the idyllic Le Repaire Boutique Hotel on La Digue island, or the Cote d'Or Footprints chalets on Praslin. As many of these properties have less than 15 rooms, rooms are 'on request' and availability can be limited. We therefore strongly advise you book early to secure your preferred dates! Popular small hotel on the south-west coast of Mahé island. Early booking always recommended! Brand new boutique all-suite hotel offering just 40 suites overlooking a beautiful small beach on the north-east coast. 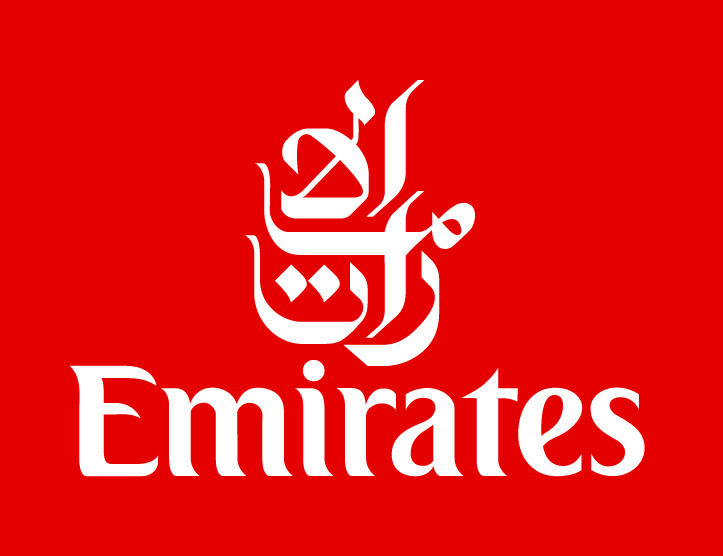 Due to open mid April 2016. 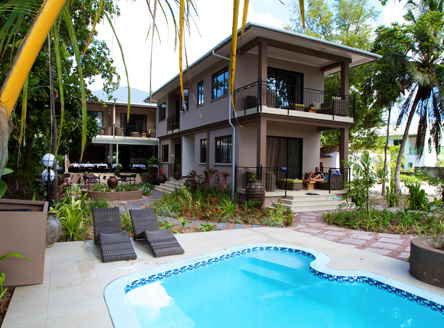 Popular self-catering apartments within just a 5-minute walk from the popular Beau Vallon Bay and it's choice of restaurants and shops. Small family-run hotel near Baie Lazare on southern coast offering a great choice of accommodation options. Designed in the style of an old Colonial plantation house, L'Habitation is set by a white sand beach on Cerf Island, just a 10 minute boat ride from Mahé. A small family-run collection of just ten modern chalets, located beside the stunning Cote d'Or beach and within easy walking distance of the near-by village of Anse Volbert. A luxurious beachfront boutique hotel on the west coast of Praslin, with just 10 individually designed Suites. Perfectly-situated on the west coast of Praslin at Grand Anse, one of the island's longest beaches, this hotel offers a family-friendly atmosphere. 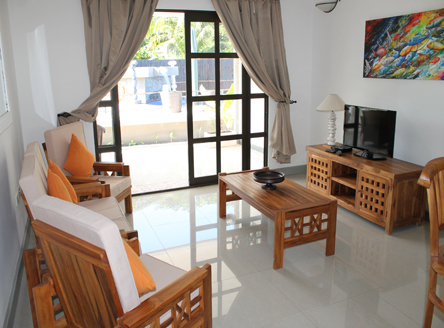 Superb self-catering complex beside the gorgeous white-sand Cote d'Or beach on Praslin's north-east coast. 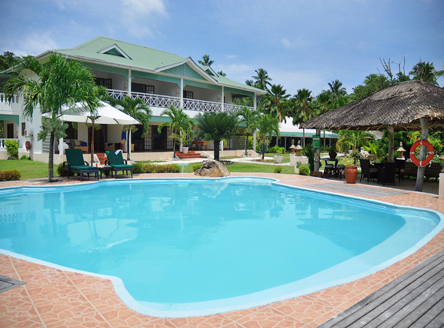 Situated on Grand Anse beach on Praslin's west coast, this small hotel offers good standards of accommodation. Situated just a few minutes walk (or cycle ride!) from La Digue's many delightful sandy beaches, this lovely guesthouse is perfect for experiencing the island's tranquillity. Set beside the beautiful west-facing Anse Reunion beach, Le Repaire is perfect for a relaxing Seychelles holiday. The hotel is also developing an enviable reputation for its supperb Italian cuisine! Book early. 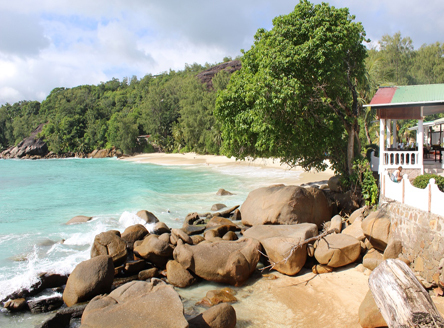 Cabanes des Anges opened in early 2014 and situated just 5 minutes from Anse Reunion beach and the west coast of La Digue. It offers warm hospitality and an unequalled approach to small guesthouse luxury. Daily Telegraph 11 April 2010 - Paradise for a Song! Our team's knowledge and experience of Seychelles means that we have incredible first-hand knowledge of all the Seychelles hotels we feature. Whatever your budget, we can tailor your perfect Seychelles honeymoon or wedding in Seychelles. 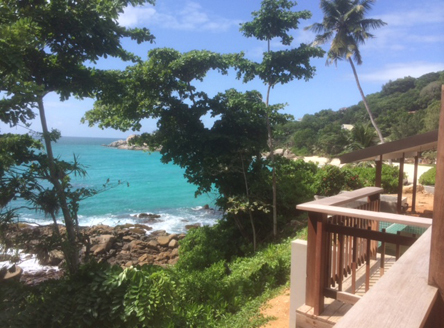 Read more about why the Just Seychelles team love the fabulous Seychelles Islands!